"Hopefully, I'm the people's point of view because I'm just like you. I sit at home and I watch it, and I don't have that technical ... I'm not looking at it in a critical way from the producer's mind. I'm looking at it as a person who is going to buy the music and is going to relate to that person." That may just be a good thing. I mean, a lot of times, producers get so caught up in all the technicality of singing, which is good and all, don't get me wrong. But sometimes all that isn't really necessary. Music is about how you relate to a person's songs, how it touches you, motivates you, makes you feel good, you know? Not saying that you can go up on stage, and just sing any old note LOL, but it's just so much technicality in it. 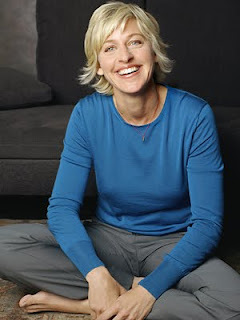 Maybe Ellen will bring a new outlook on the competitors, since she's really on the outside looking in.